This is an original Civil War production date penny from the England. On one side of the coin it has the bust view of England’s Queen Victoria. On the back of the coin it has image of Britannia seated facing right, holding a shield and trident. It also has the American Civil War production date of 1863 and reads "ONE PENNY” around the edge. 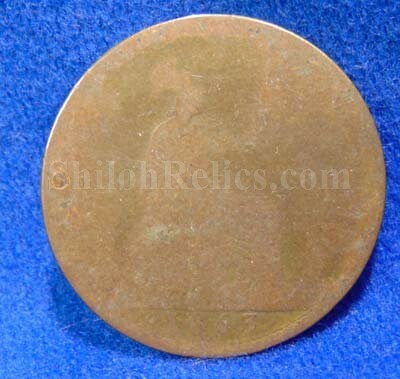 This is a nice original Civil War dated coin from England. 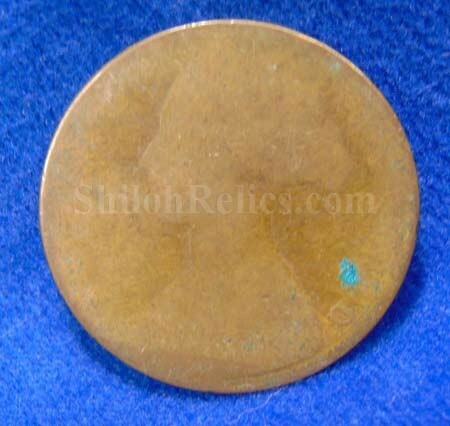 It is in well circulated Condition and will be a niceaddition to your coin collection.